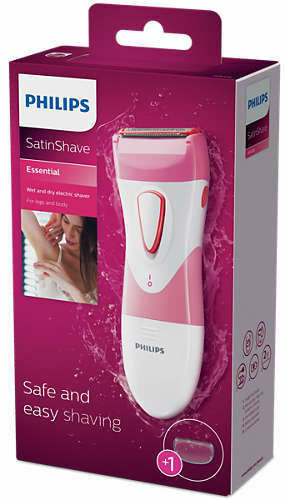 Get a quick and easy shave with this all-round Ladyshaver which works wonders in removing hair from your whole body. It is also easy and safe to use. The small shaving head protects your skin and cuts quickly, thereby giving you soft and smooth skin after using it. The shaver is designed for wire free shaving, which means it is cordless and lets you shave anywhere and anytime. It has an ergonomic grip which makes it easy to grip and handle. Its compact design fits comfortably in your hand. The housing material of the shaver is made of ABS and uses a blade made of nickel foil. 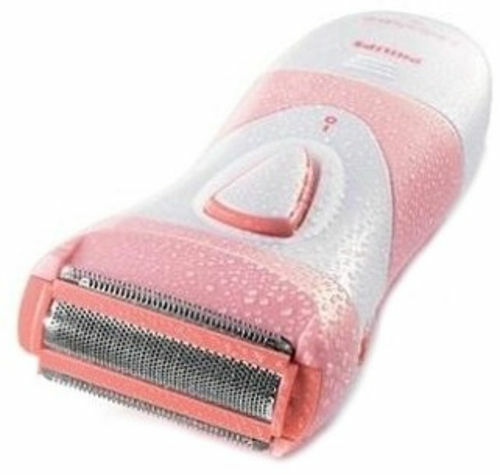 Get the ultimate skin protection with this Ladyshaver. It has small and gentle shaving heads which protect your skin from damage and gently pull out hair. It can be used under both wet and dry conditions. The shaver uses a 2 x AA battery type which allows for an efficient shave wherever you go.